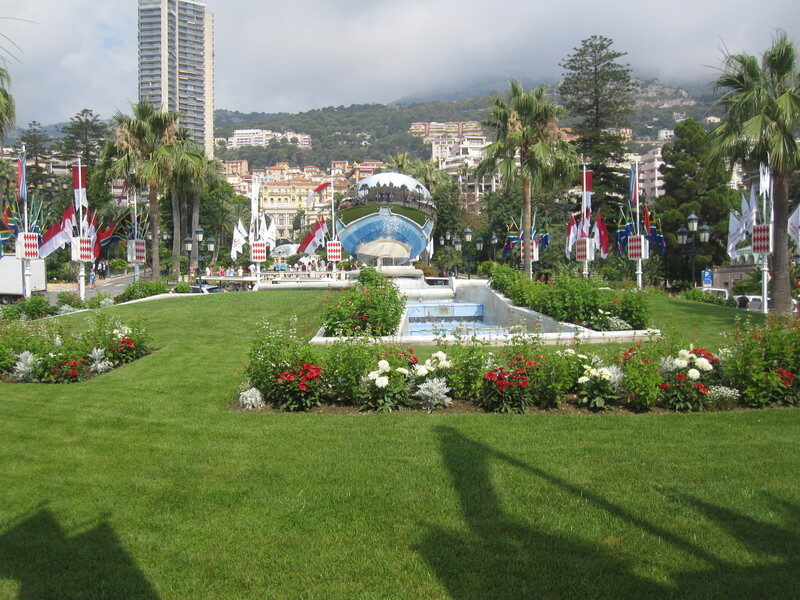 The first time I visited Monte Carlo I fell in love, it was the most amazing place I had ever visited. Not simply because of the beautiful coastline but the everywhere you went it oozed with money, glamour and sophistication. The marine is simply amazing. Everywhere you look there are fantastic yachts, the kind of boats you can only ever dream about or see in a James Bond movie. The cars, well put it this way I have never seen anywhere in the world other than Monte Carlo so many high end motor vehicles in one place. You can literally have 3 Bentley’s on your left, a Maybach on your right and a few Ferrari’s ahead of you. The Casino area is gorgeous, although quite a steep trek to reach it is well worth the effort. The gardens are pristine and very colourful; here you will find the world famous Casino (of course) and Café de Paris along with a few rather posh hotels and fine jewellery stores. On my last visit they had also constructed a rather large outdoor swimming pool just in the marina, ideal if you visit in the hot summer months and just simply want to cool off. It was quite a good size and had a life guard keeping watch. Monte Carlo is very expensive, although not too much in the way of stores (unless you are partial to a Gucci Bag or Hermes scarf) there are plenty of coffee shops and marina café’s dying to take your money. On my visit in July last year a regular sized bottle of Diet Coke was an astonishing 10Euro.To say I almost passed out would be an understatement but it’s ok, I am not in Monaco every day I thought so just drink it and be quiet. I would put this at the top of your “must visit list” I have been lucky enough to have visited three times now and each time I am still left shaking my head at the sheer wealth of the area. Make sure you pack your sun cream though as the summer season here can get very hot indeed and you also have the tender transfer to remember. Some ships can dock in the marina but if I think correctly it really only is big enough to have one ship docked at a time; everyone else must anchor off shore. I have only ever seen the SilverSea ship, Silver Wind docked here. Please, if you have never been before just go and Google it, you really will be in for a treat! Totally agree with about Monte Carlo. Its a beautiful place, and will stay in our thoughts forever more. We visited last year in July and it was really hot. We were lucky enough to dock alongside on Oceana. We have heard tales on the tender crossing that it can be quite hair raising. Perhaps it who you know. Bonjour, CruiseMiss, from Monte Carlo! 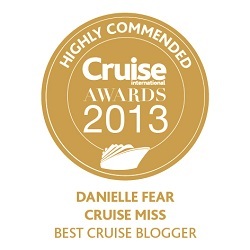 Just came across your blog on CruiseLineFans and saw your entry about Monte Carlo. What a coincidence! 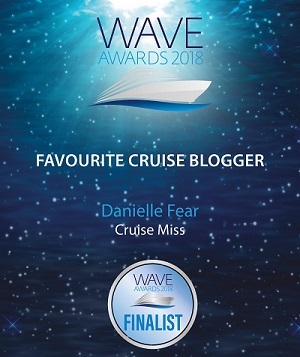 I share your passion for cruises and I am happy to live at the coast of the Mediterranean Sea, where I can watch cruise ships arriving all summer. 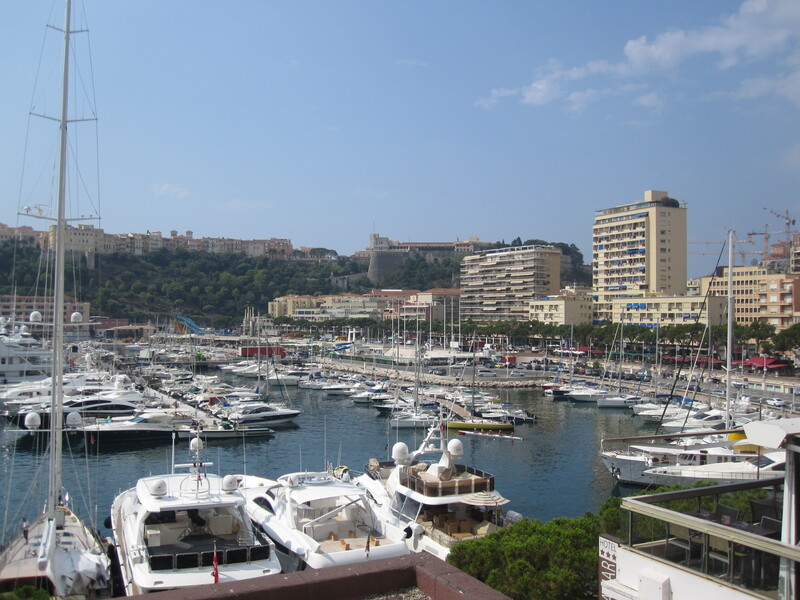 It is also interesting to read, how visitors look at and experience Monaco. Yes, the wealth of yachts, luxury cars and high end boutiques can be sometimes intimidating. If you see it every day, a Ferrari is no head-turner anymore. Locals -and this is the majority- tend to use the efficient city bus system or little scooters to get around much easier than in a car. Of course, it is wonderful to stroll along the glittering window fronts; it always reminds me of “Breakfast at Tiffany’s” – I love to watch, but you don’t have to get overboard to get a nice pair of shoes or some fancy fashion jewelry. There are a lot of “normal” shops in town, as well as cafés and bars with much more affordable prices than a €10 coke. Especially around the port area, we love to go out for happy hour and after work drinks. 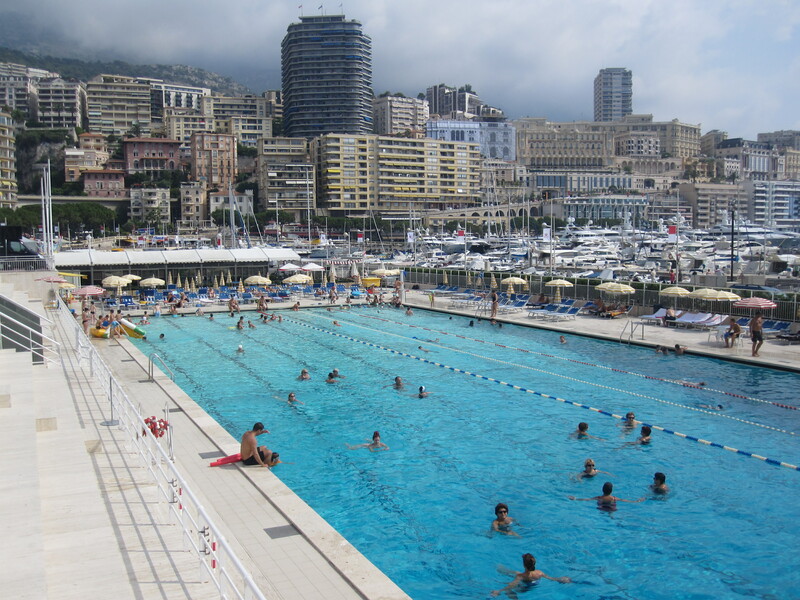 Some more information for your next visit: The public pool in Port Hercule exists since the 70’s (if I remember correctly), but there’s also a new public swimming area just on the other side of the cruise ship pier with astonishingly clean waters, and the use is free of charge. Love to take a dip in the blue Med there on a hot summer evening. In the mornings, I prefer the (pebbly) Larvotto beach, watching the big ships arriving. Spectacular. The cruise ship pier can accommodate really large cruise vessels up to 300 m long, but only one at a time. All others, arriving at the same day as a mega ship, have to use tender boats. We enjoy a similar “tender feeling” when we use the solar-powered bus boat across the harbor which is part of the public transportation system. On your next visit to Monaco, try to find the many public elevators and escalators, transporting us comfortably between the many levels of the city. E.g. there’s a public elevator from the port area (underneath the Fairmont Hotel building) to the Casino terraces (nice views of the port and the Bay of Monaco) with easy access to Monte-Carlo. In combination with the cross-harbour trip in the bus boat, it is an easy way to get to the major sights from the cruise pier. 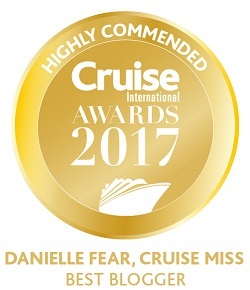 Have a wonderful cruise summer season and I hope Monte Carlo will be part of your travel plans sometime soon again.